Last night was a great night! I sold 45 cases of wine to the Bounty Hunter Wine Bar, It hailed in Napa (California’s version of a snowstorm!) and we had our famous girl’s night. This week it was my friend Katie’s turn to host. Janice Isley also joined us last night and brought a 2006 Cabernet from her winery. The 2006 Cabernet had not yet been released so it was fun to get a sneak peak. The Isley’s have been making great wine in Napa Valley for over 50 years in the Stags Leap district- so it is pretty safe to say that they know a thing or two about makin’ some real fine wines! We decanted the wine for about an hour while we munched on Risotto, Cheese, and our daily gossip. After the hailstorm, a ridiculous game of apples to apples, and several bottles of champagne the ladies were rearing to take the red wine for a spin. 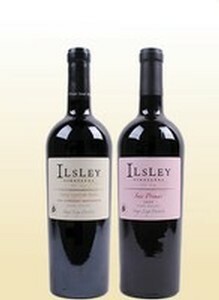 The 2006 Isley was UNBELEIVABLE! 2006 is quite young for a Napa Cabernet – she was a little shy at first but once that sassy thang opened up she was like a new animal. It had a beautiful, floral and perfumed nose, flirty on the pallet, and surprisingly quite polished for such a newbie. Janice blends Malbec into her Cabernet program which gives the wine a little more structure, color and tannin. Thanks so much ladies…..it was yet again… another very wild night with ya’ll…. .And snow in Napa?? Who Knew?? Personally, I have no idea, since it all tastes like vinegar to me. It is, however, reported to be very good for you to have a glass of wine a day. Of course, since "they" say grape juice has the same properties, I'll take the grape juice please. Howdy! I could have sworn I've been to this blog before but after reading through some of the post I realized it's new to me. Nonetheless, I'm definitely happy I found it and I'll be book-marking and checking back often!